This week Harris was really on fire—a whole grab-bag of games, with some spectacular shots from Zeno Clash, Fuel Total War: Shogun 2s. Let's dig in. 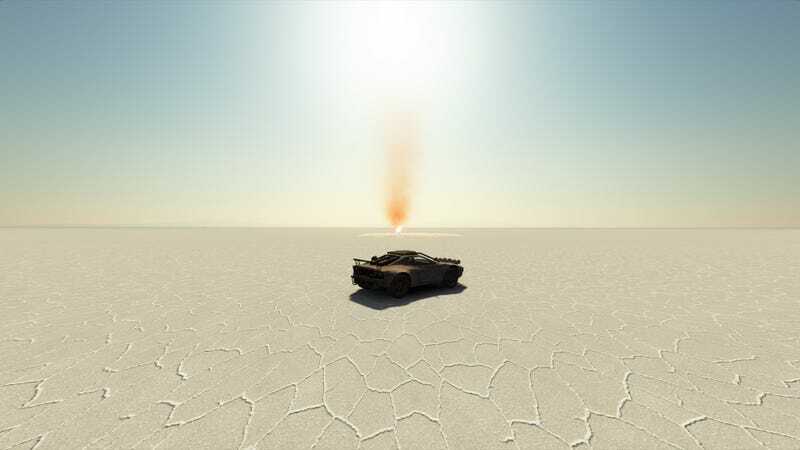 Hot damn, that is an awesome shot of the desert in Fuel. Wow. Tools and tricks: 2160p rendering (windowed), antialiasing (4xMSAA, 2x transparency supersampling, injected FXAA w/ texture presharpening), restored developer menus, vignette effect disabled, no-HUD, free camera. Another great wide-angle shot from Fuel. This game really does deserve the benefit of a good cameraman. Yeah, it follows that we'd get at least one more great Bioshock shot after last week. Don't look so glad to see me, Little Sister. Tools and tricks: antialiasing (FXAA), Post Process Injection DLL w/ pre-sharpening for texture and post-sharpening for image, high-performance ambient occlusion, 2160p rendering, no-HUD, custom FOV, noclip, timestop. A great shot from Zeno Clash, a game I know unfortunately little about. Tools and tricks: no-HUD, viewmodel removed, Valve demo recorder, custom FOV, 2160p rendering, antialiasing (8x MSAA + 2x transparency supersampling). The first of several epic shots from Total War: Shogun 2. Tools and tricks: unrestricted camera, 2160p rendering, antialiasing (injected ‘ultra-quality' SMAA), HUD removed in Photoshop. Another shot from Zeno Clash that actually reminds me of a level I just played in Resident Evil: Revelations. Another kickass shot from Total War: Shogun 2. As Harris puts it, "RTS rendering has reached a point where zooming out to anything remotely playable feels like a retreat." Here come death, in Total War: Shogun 2. A nice-looking one-off shot from Need For Speed: Hot Pursuit 2010. Tools and tricks: 2160p rendering, antialiasing (4xMSAA + 4xSGSSAA), Racer_S camera and HUD hack, in-game Photo Mode.